The latest RBC retirement poll came out today and the one thing I like about it is that they put the emphasis on my preferred term of Financial Independence, as opposed to plain old full-stop Retirement. So personally, I consider myself “findependent” but, as is evident from the fact I’m writing these words, I’m still not classically “retired.” Semi-retired perhaps but that’s a topic for another day. Today RBC released the 2019 RBC Financial Independence in Retirement Poll, which uses findings from the Ipsos annual RBC RRSP poll conducted late in November: it contacted 2,000 Canadian adults online. Call it what you will but RBC identifies four “top motivators” to accumulating such a nest egg: being debt-free, having things to make life more comfortable, having money to take part in desired experiences, and having enough to travel wherever you want. So how much does it take to get there? Apparently, those in British Columbia need a little more than the rest of us: $1.07 million, compared to a national average of $787,000. Albertans think they need $916,000, those in Saskatchewan and Manitoba cite $907, 000 and Ontarians just $872,000. Quebecers have much more modest aspirations, believing just $427,000 will get them the kind of financial independence they desire. And there’s a bit of gender divide on this topic: Men believe they’ll need $942,000, compared to women at just $650,000. Given that women tend to outlive men, I’d argue that should be the other way around. RBC cites four action items to achieve this kind of financial independence: spend less on non-essentials [74% cite this], eat out less [59%], postpone major purchases [45%], and cut back on travel [34%]. I find this list a bit ironic: cut back on travel now so you can travel in style later, eat out less now so you can indulge in fine dining later, and so on, but that’s the basic paradigm of saving and investing: Delay gratification, live within your means, eliminate debt, and then grow your nest egg. The frugal behavior that helps you eliminate all debt (including ultimately even a home mortgage) should continue into the wealth-building years. By spending less than you earn and saving and investing the surplus in RRSPs and TFSAs, you can eventually get to the hallowed land of Findependence/Retirement. This iteration of the poll didn’t ask what age people hoped to achieve this, said RBC senior director, digital strategy Richa Hingorani in an interview, but I’d argue most of us hope to get there in time to enjoy our “go-go” years: perhaps our late 50s or 60s. I do agree with the poll’s emphasis on debt. Canadians said clearly that they don’t want to live with debt and certainly don’t want to carry debt into retirement, noted Hingorani in a press release. I’ve always said that anyone with debt shouldn’t be fantasizing about retirement, at least the “full-stop” variety that doesn’t involve earning at least a little pocket money. Obviously, a proper financial plan is the way to make sure you can achieve these goals. More Canadians are getting that basic message, to the point that in 2018, 54% now claim to at least have such a plan. But hold your applause because about a third of those (32%) say the plan is merely “in their head.” In my view, that’s not a plan, and if you add them to the 46% who don’t even claim to have any plan at all (whether inside or outside their heads) then those of us pushing for more financial literacy cannot claim our job here is yet done. The RBC materials emphasize the growing availability of online digital resources, including their own “MyAdvisor” online service and other resources on saving and retirement planning. While the poll doesn’t focus on the investing piece of the equation, these online resources include detailed summaries of RRSP and TFSA rules and how to maximize contributions. Personally, I continue to believe in the power of diversification and asset allocation, and the need to keep costs down to reasonable levels, as we mentioned a few months back in our review in this space of Larry Bates’ book, Beat the Bank. Given that just last week, RBC announced a big deal with BlackRock Inc., I’d suggest that exchange-traded funds (ETFs) be the centerpiece of the investments going into RRSPs, TFSAs, and non-registered portfolios. These will certainly be lower cost than retail mutual funds available at RBC or any of its rivals, and more tax-efficient to boot. Alternatively, those with an interest in it can pick their own individual securities. The longer your time horizon and the more you need growth in your portfolio, the more you’ll want to include equities (stocks), with roughly equal exposure to the Canadian market, the United States and International/Emerging Markets. Don’t forget to include fixed income, which for most people will account for rising percentages of portfolios as they approach the hallowed land of Findependence/Retirement. A good model for these is the three Vanguard Asset Allocation ETFs, which range from 80% stocks for the most aggressive, to 60% for a classic balanced portfolio, and 40% for the most conservative one. Anyone of these “one-ticket” solutions holds thousands of securities and will be “rebalanced” automatically, which is basically what most of the country’s so-called “robo advisors” also do, albeit at a slightly higher price. RBC offers five different risk profiles ranging very conservative to aggressive growth. No muss, no fuss. 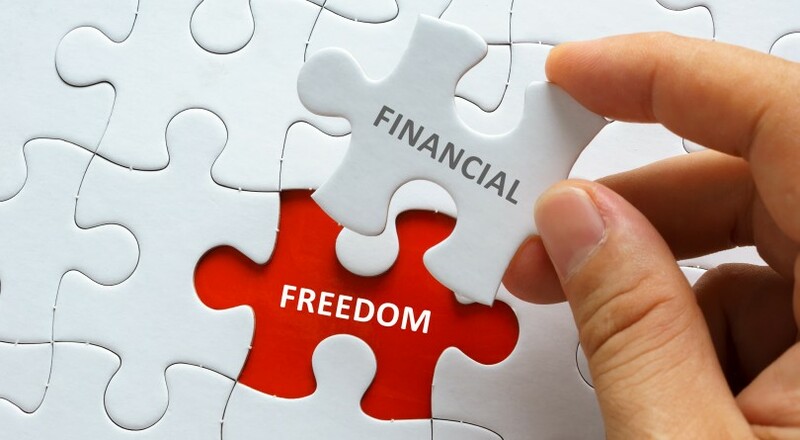 In fact, the investing piece can be the easiest part of the quest for financial independence. But none of it can happen without a good plan: one that is OUTSIDE your head and drawn up with the help of a knowledgeable financial advisor.